Addressing Pancreatic cancer in dogs is thankfully fairly rare but, when it is encountered, it is, unfortunately, a very serious condition. It is a highly invasive cancer that will most likely only really show its symptoms once it has already progressed to a more advanced stage, making it difficult to diagnose and treat during the early stages. Like all canine cancers this is a very difficult disease for the dog owner to cope with. Like any other cancers, the cause of pancreatic cancer is unknown. But it can also be a result of a genetic predisposition. 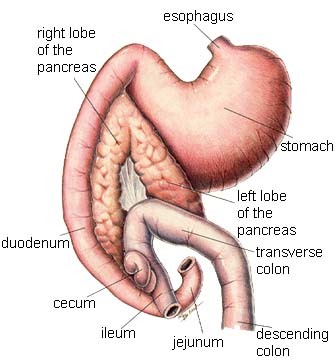 It usually begins as a tumour that originates in the cells of the pancreas. First, these cells are healthy and they grow and multiply in a natural way. But when they are damaged by internal or external factors, they grow out of control and form a tumour. Most common symptoms that you can observe in a dog with this disease are blood-tinged stool, loss of coordination, lethargy, seizures, diarrhoea, vomiting, loss of appetite, weight loss, depression, abdominal mass and abdominal dissension. How is Pancreatic Cancer in Dogs Diagnosed? The symptoms usually cannot be observed until the later stages. However, if your dog has these symptoms, it doesn't automatically rule in the diagnosis of a pancreatic cancer. The veterinarian will need to perform laboratory tests such as enzyme and blood tests. 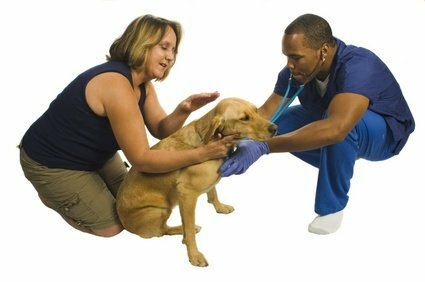 During physical examination of the dog, the vet may be able to palpate the tumour. If the vet is still in doubt with the result, more advanced diagnostic procedures will be needed such as abdominal radiography and abdominal ultrasound. These procedures are also useful in determining the localization of the tumour and if the cancer has spread to some areas such as the regional lymph nodes and liver. It is very difficult to treat this type of cancer. One of the most common methods used is surgery. However, it is useless if the cancer cells have already spread to the other organs. Operative procedures such as the surgical removal of the pancreatic organ have been performed up until present but are said to increase the risk of morbidity and mortality. Another available method is the gastrointestinal bypass surgery, which is performed if the tumour is already causing bowel obstruction. Radiation therapy and chemotherapy may also be used to kill and prevent the spread of cancer cells. Since the cancer can cause some pain and discomforts, the dog may be provided with a pain reliever. The dog's diet may also be modified to prevent aggravation of the condition. Another option is to strengthen cellular health and the immune system with a homeopathic remedy such as C-Caps. Click the link to review supporting research. This is not a cure and should not be used in dogs that are undergoing cancer therapy without consulting a Veterinarian. Unfortunately, the prognosis is usually poor due to the location of the condition. Dogs usually don't live for more than a year after showing the symptoms of this particular cancer. If you had noticed, pancreatic cancers in dogs are in one way or another, same with that of the humans. To save your dog from whatever conditions that may arise in the future, they also need to visit their health care providers once in a while.